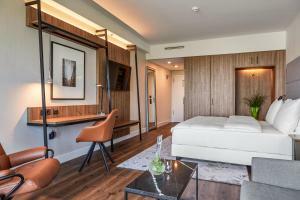 Offering free Wi-Fi, a top-floor pool and a gym, this design hotel is a quick tram ride from Frankfurt Trade Fair and Frankfurt Central Station. 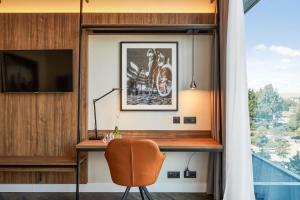 Its air-conditioned rooms include a coffee maker and a flat-screen TV. 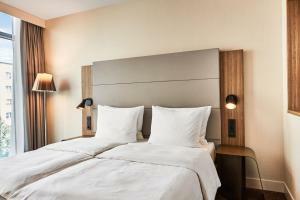 The Radisson Blu Hotel Frankfurt provides elegant rooms and suites in various styles. Highlights include a heated bathroom floor and a laptop safe. 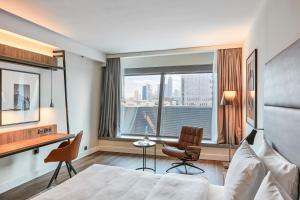 All rooms have floor-to-ceiling windows, and some offer great city views. Radisson Blu’s spa area is located on the 18th floor. 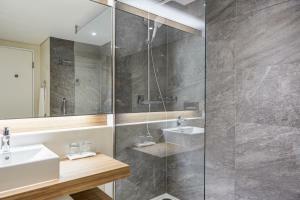 Guests can relax in the sauna or steam room here. Beauty treatments and massages can also be booked. A breakfast buffet is served in the Gaía restaurant and on the summer terrace. Guests can enjoy drinks in the wunderBAR LOUNGE or in the lobby bar. 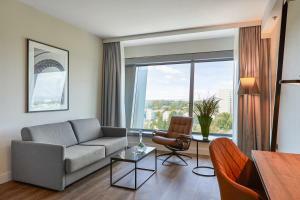 An der Dammheide Tram Stop is a 3-minute walk from the Radisson Blu Frankfurt. Please note that renovation work will be taking place in the rooms, hallways and lobby until January 2019. 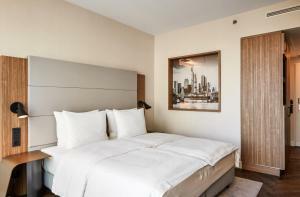 Spacious, air-conditioned room with flat-screen TV. Please note that no extra beds are available in this room category. 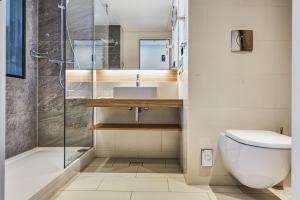 One-room suite on 3rd floor offering panoramic windows, bathrobes, slippers and Nespresso machine. 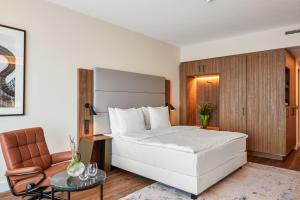 two-room suite on offering panoramic windows toward the taunus area , bathrobes, slippers and Nespresso machine. This family room has a satellite TV, air conditioning and soundproofing.